This is my testimonial/ review of 'the Lifeforce Plan' or 'the McCombs Plan', which I undertook for a little over four months in 2009. I originally published this testimonial on CureZone and have included it here because it was an important part of my journey to health, before I discovered the raw food diet. Apologies if this article is not written in a very reader-friendly way. This is because at the time I didn't have a website and I didn't keep a diary of the experiment - the only record I have is this testimonial. If you would like more information on this diet, the best reference point is Jeffrey McCombs' book: Lifeforce: A Dynamic Plan for Health, Vitality and Weight Loss (follow the link for a summary). Please also note that I did a live blood analysis four years after doing this anti-candida diet and it showed very little candida, despite the fact that I had taken pain killers since then, eaten plenty of carbohydrates and only eaten healthy for certain periods of time. So I would say that was a good proof that this diet worked. The naturopath did find some signs of an aspergillus infection, however, which is a mold. I emailed Dr. McCombs and he responded that they have seen good results on the diet with aspergillus infection, also. The Sota Instruments' blood electrification device claims to be effective against mold, fungus and bacteria in the blood - without dieting. I am currently testing this myself and will do another live blood analysis to see the results when I can afford it (to see if it managed to kill aspergillus, the mold (a little different from yeast). I am on week 10 now of the Lifeforce Plan, but really on week 8, as I decided to extend the diet by two weeks. I have been emailing Dr. Jeff all through the diet, and despite the fact that I live in London and did not buy one product from Dr. Jeff, he has provided the best imaginable support to me by email. He has responded very quickly, even on a Sunday! 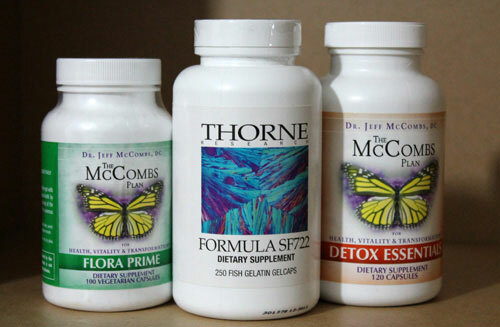 The supplements that you would need on the McCombs Plan. I bought his book, the Lifeforce Plan, second-hand, got inspired, and after reading through his website purchased SF-722 (the same product as Candida Force) from the internet, and all the supplements from local health food stores. I didn't trust the website at first, although everything made sense, but now I am convinced that Dr. McCombs and his Plan are sincere and effective. 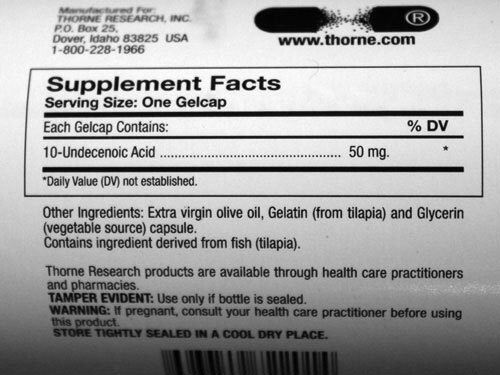 The seemingly high cost of the products is because the dosages of both vitamins and undecenoic acid are very high, and the duration is long. I did not save any money using slightly different vitamin and probiotic products from local health food shops, but I suggest each reader research this for themselves. I will outline my experience below, including email information from Dr. Jeff - hopefully this testimonial will be useful to some of you. I have just recovered from swine flu. I managed to get through it without taking any antibiotics. This was made possible by Dr. Bob Beck's Electromagnetic Pulser and Blood Electrification devices, as well as some amount of Colloidal Silver (these can all be made home for free but be careful to get it right otherwise it can be dangerous). I started on the probiotics before, as prescribed on the plan, but am not sure if these have been weakened by the above bacteria-killing methods. 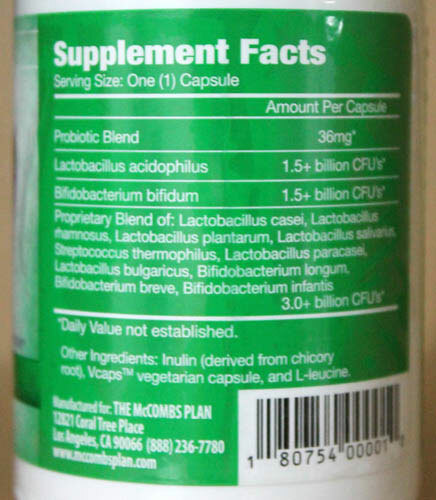 Thus I am starting the probiotics from the beginning now, and have only added very few foods to my diet so far. I weigh 50kg (8 stone) now, compared to 65kg (10stone) when I started. I feel too thin and will try to build some weight back after finishing with the plan. But in terms of energy and health I feel great. Honestly I don't know if this is because I have god rid of candida, or only due to having been on a good diet for so long, but it has definitely been good for me nevertheless. My skin looks healthy, I look much younger, and weigh the same as I did as a teenager. This is perhaps something a lot of people experience but don't realise if they are not used to paying close attention to their moods: I have felt emotionally very balanced during the diet. I argue less, and get less stressed or affected by others' moods. This could be due to less candida, less alcohol, less sugar, or any number of reasons but it is so relaxing to feel like that for such a long time and realise that it is something you can bring about yourself by dietary choices! Hopefully I will notice when reintroducing foods if something specific makes me agitated. I had a worrying beer belly when I started the plan and felt bloated on a daily basis. That went completely in the first two weeks. Cravings for sugar and cheese have completely gone by now, and it is true that your taste buds adjust and fruits start tasting very sweet. I make fruit salad with frozen raspberries quite often as I found it to be a great tasting, quick food which I can have every day (no added sugar or fruit juice, of course, and no frozen blueberries). I will write further updates once something new occurs. I am still hoping that the plan will cure a slight cough I have had since teenager as well as my tendency to asthma. Also I hope it will help me with my tonsil stones. That would be all, then I would be in perfect health! Thank you Doctor Jeff! I recommend this diet for anyone, if you can afford it, it's worth it! But read the book first, obviously. The package advices to take 1 capsule per day 20-30 minutes before food. 1) Is one capsule per day enough or should I take more? 2) Also, when I am allowed to eat grains in week 11 what does it mean? Since bread and white flower and rice are still not allowed, what is? Porridge oats and quinoa, for example? "Will rye and other grains also be allowed in week 11? Howabout ground grains, i.e. flour etc?" - My period started the next day (this morning) and I had been on a mini-pill until the beginning of the Lifeforce Plan - you dont get a period at all when on this particular pill. I have had painful period for a long time but Wild Yam cream and not drinking coffee seem to help. Perhaps the whole episode was caused by the worst ever period cramps as my hormones adjust back to normal after quitting the pill? - I took four doses of Candida Force that day instead of three, because I had missed one dose the day before - perhaps I overdosed? - It could have been a food poisoning from something I ate? It felt like a very bad (but quick) food poisoning combined with very bad period cramps. - It could have had to do with general weakness as I am on the 6th week of the Lifeforce Plan and not getting more than max. one bowel movement per day, I thought my body might be able to handle it and readjust itself with time. The trace minerals didn't help and are too expensive to take in large quantities... I am trying to find a place to buy a colonic cleanse kit today. I'm well again today, just worried in case I am doing something with the diet that is harming me... In general it seems that the diet is a little harder for vegetarians than meat eaters... I am trying to eat some organic meat but don't feel like doing it too much. My body seems to be missing animal fat (cheese) a lot and sugar as well, as I get cravings since the second week on the plan. I never used to crave sugar before as I ate honey and molasses. Thank you very much for your continued help." Answer: "That sounds like food poisoning or a 24 hour flu. You can't overdose on the Candida Force. I know of one woman who took 750 pills in one day and all that she had was an acid stomach. She misunderstood someone else's directions on dosing. A vegetarian diet is usually very high in sugars and simple carbs. A tablespoon of honey or molasses is a more dense concentration of sugar than a tablespoon of regular sugar. The honey and molasses are a better choice, but sugar nonetheless. Same goes for agave. If you're trying organic meats, it would probably be easiest to have some ground beef mixed in with brown rice and other vegetables, or something in a stew. The lungs and large intestine are paired meridians in Chinese medicine. If the large intestine is sluggish, it puts more stress on the lungs. This can look like the mild asthma and cough symptoms that you have. Keep working at getting the bowels moving. The lack of energy can be due to the overall imbalance of the digestive tract and an immune system that is underfueled. Fueling the immune system properly means getting an adequate supply of amino acids. I am through 5 weeks of the Lifeforce Plan and as I have followed the plan the best I could, I made a couple of mistakes: I ate some soup with coconut milk in it, before realising that coconut is a nut! Would that be a problem? Also, while I stopped drinking alcohol and changed my diet, I also started smoking and drinking Nescafe at the beginning of the plan... it is not good for detox but would it affect the candida? You mentioned before that cigarettes don't affect but they definitely make me feel less healthy! (I am going to read Allen Carr's book and quit smoking this week.) I also ate some potato crisps & chips cooked in vegetable oil a couple of times, but with only salt as additional ingredient. Would I be safer sticking to the plan a bit longer or can I just continue? I have lost 1 stone (8 kg) by now since the start of the plan (I weigh 9 stone/ 57 kg now). 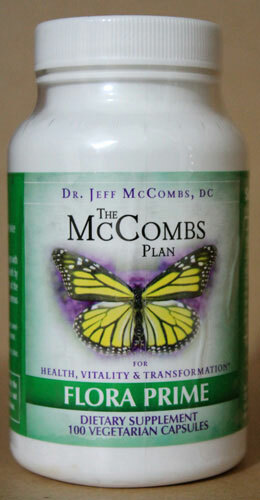 The probiotic supplement used on the McCombs Plan (Lifeforce Plan). - Week 9 - will I be able to eat mushrooms, vegetable oil, and sundried tomatoes? - Week 11 - can I eat pasta, white rice and sourdough bread (with no sugar or yeast)? Should I post this conversation on the CureZone? In case it is useful for others?" Answer: "With the coconut, crisps and chips, I'd add 4 more days to the first 8 weeks of the Plan. Smoking doesn't affect reverting the fungal candida back to its yeast form. It may slow the immune system a little by keeping it busy elsewhere, but that may be very little. The Nescafe isn't an issue. - Week 11 - can I eat pasta, white rice and sourdough bread (with no sugar or yeast)? THOSE WOULD BE IN WEEK 13. Should I post this conversation on the CureZone? In case it is useful for others? YES, THAT'S A GREAT IDEA FOR HELPING TO EDUCATE OTHERS. The Vegetarian Myth: Food, justice, and sustainability" by Lierre Keith"
"I have been on the Lifeforce Plan for 2.5 weeks now, feeling good but no major changes (I was quite healthy when I started already). When do you normally start noticing a change in energy levels? Main question however, is: would it be ok to eat these paper-thin white bread wraps as my only source of grain? I am following your plan very carefully, but would like to include these as they would make my lunch so much easier to make. Alternatively, if wheat ones are definitely out of the question, I would like to have similar thin wraps made of rice-flour. I guess white rice is not much better than white wheat however. Also, I can't find hot brown rice cereal here in London so I am having eggs for breakfast every morning! Would organic brown rice flakes be allowed for a morning cereal? Is young coconut water allowed?" Answer: "Energy levels usually increase for most people within the first week. Don't be too worried about that if you're already quite healthy. The thin warps would just be a simple carbohydrate that would work against the Plan. I'm not sure what brown rice flakes are, but I'm guessing it is a processed rice product and that would be a simple carb, and therefore wouldn't work also. There's nothing wrong with the eggs. I have been scrambling eggs in extra virgin olive oil with tomatoes, brown rice, avocado, and seasoning for years. That's just me though. I'd hold off on the young coconut water until Week 9. - Dr. Jeff"
"I am on my THIRD DAY of the plan and feeling good so far, no massive cravings or die-off symptoms. One thing that worries me is that I haven't had any bowel movements for three days (! ), i.e. since I started the plan. Can the diet and the supplements actually cause constipation or is it just that I ate too many banana-rice-cakes? I am feeling good however, and if anything my belly is getting less bloated." Answer: "Normal bowel movements are 3-4 times a day. Many people don't have this frqeuency, which is a sign of long-term bowel imbalance. Many people use herbal colon cleansers. I usually recommend taking Trace Minerals Concentrate at a dosage of 40-80 drops, 2-3 times a day, in the liquid form. If using the tablets, take 3-6 tablets, 2-3 times a day. Adjust the dosage up or down based on results. Colonics and enemas can also be helpful. - Dr. Jeff"
- Can I drink wheatgrass juice on the plan? - Are dried vegetables, such as sundried tomatoes allowed? Many thanks again, I will leave feedback on your site once I have something to report (this is my SECOND DAY on the plan only)..."
"Dear Dr McCombs, I am on the FIRST DAY of the plan and have a couple of questions I would like help with: - Can I have extra virgin avocado oil while on the plan? - Can I take colloidal silver? - Is wasabi paste ok (Japanese horseradish)? I am taking a C-vitamin supplement instead of Detox Essentials because I am based in London, U.K. and it is difficult to order your supplements from abroad. Also, the customs charges can be quite high. 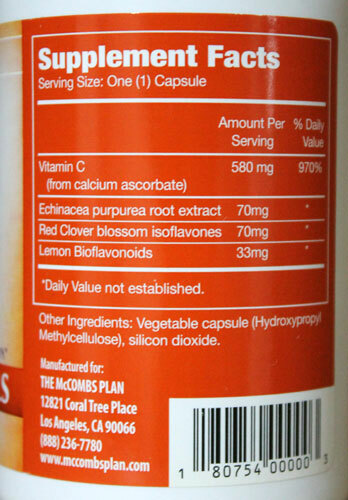 The question is: is 1606mg dosage of C-vitamin (ascorbic acid) enough per day (also includes 120mg magnesium)? I am also taking amino acids (liquid and pills) since I am a vegetarian." My summary of the diet requirements and Jeffrey McCombs book here: Jeffrey McCombs' book: Lifeforce: A Dynamic Plan for Health, Vitality and Weight Loss. Natural health remedies for: candida, infections, stomach fat, alcoholism, burnout, insulin resistance and diabetes.